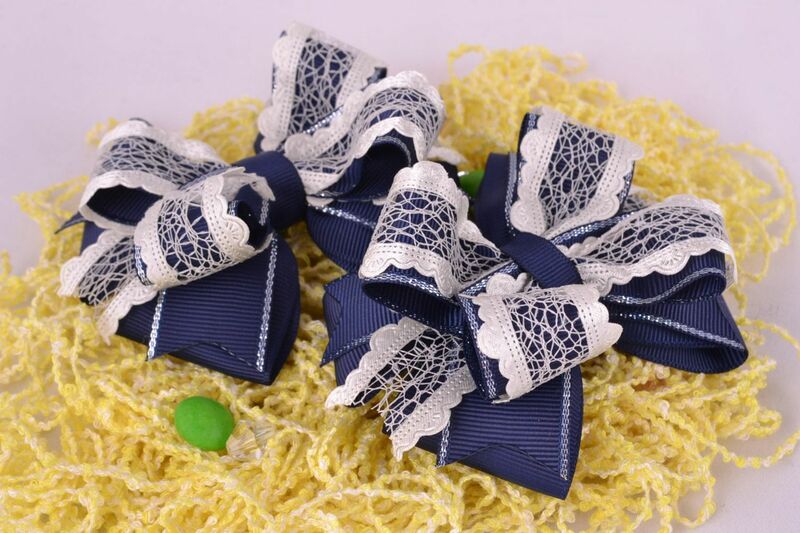 These hair bows made of ribbon are equipped with metal clips. 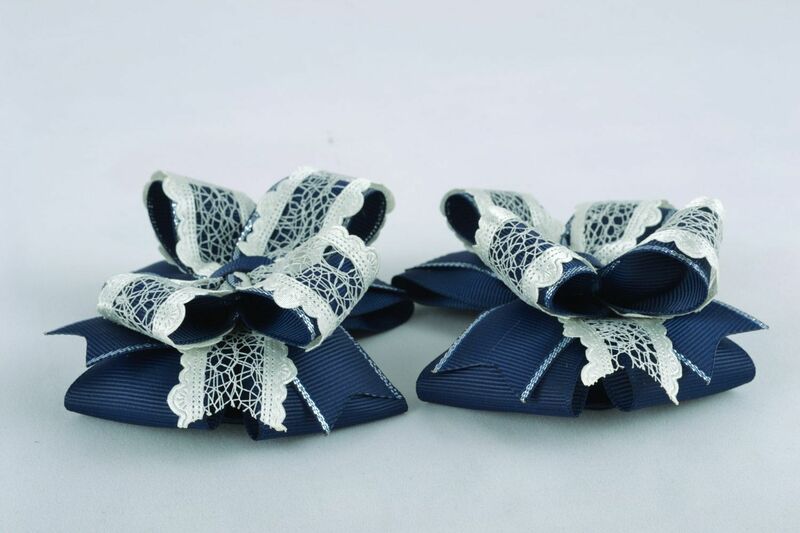 They are created in blue color with white lace. 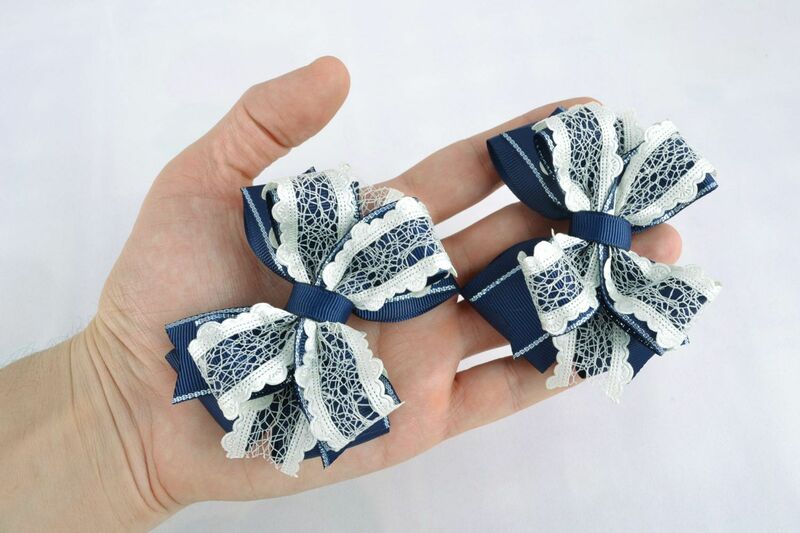 These hair clips are very elegant. 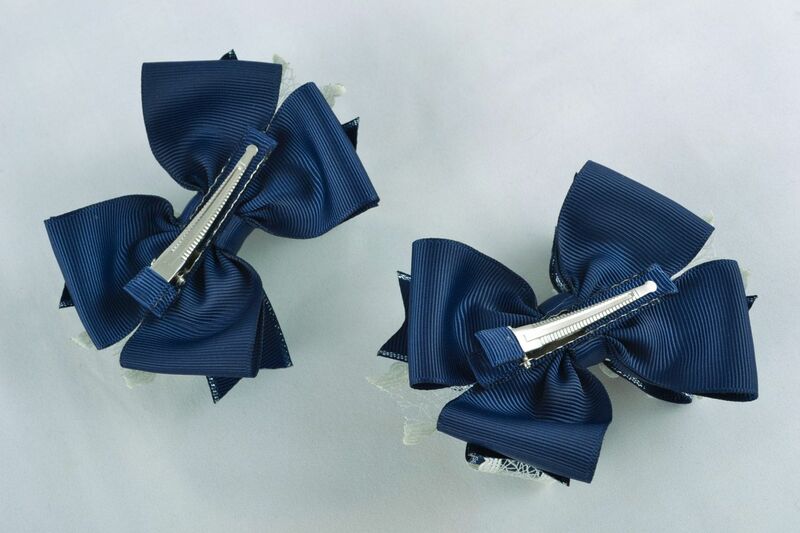 It is easy to do a stylish and beautiful hairstyle for your daughter for a children&apos;s holiday. 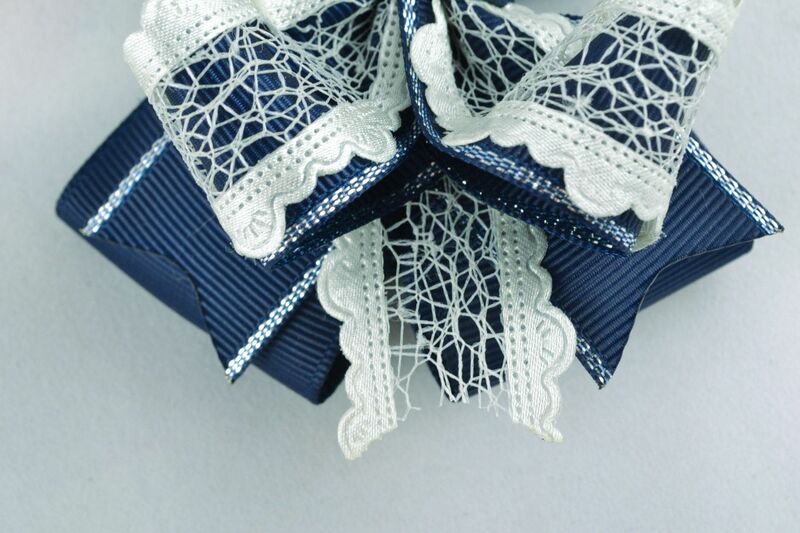 The products can be made in the sizes and colors you like.